Real-time mobile assessment (RTMA) can function as assistive technology, since the anonymity of feedback promotes active participation in lessons without being exposed to criticism. This field experiment explored the impact of RTMA, beyond a whole-class technology, on academic achievement, students' perceived learning, academic self-efficacy, learning motivation, and self-esteem among middle school students. The participants were 80 ninth graders in the excellence, mainstream, and remedial tracks being taught by the same experienced language arts teacher. The experiment included nine double language lessons with a random assignment of the technological conditions and the counterbalance procedure of the topics studied. The findings suggested that students in the remedial track benefit from using RTMA in terms of achievement, perceived learning, self-efficacy, and motivation. Students in the excellence track benefit from RTMA in terms of intrinsic motivation, and students in the mainstream track in terms of self-esteem. Implication for educational research and practice are discussed. Active involvement of students in the learning process is important for building solid knowledge and developing competencies (Blau & Shamir-Inbal, 2017; Porat, Blau, & Barak, 2018). Mobile devices have various distinctive features, among others, instant communication and feedback that may be used for enhancing the effects of formative assessment. 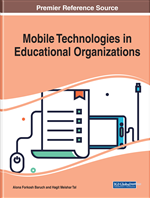 A meta-analysis and research synthesis study for mobile-integrated education (Sung, Chang, & Liu, 2016) analyzed 110 empirical studies and indicated that very few of them (e.g., Agbatogun, 2014), used mobile devices for formative assessment or quizzes in classrooms or outdoors. Real-time mobile assessment (RTMA) in education refers to using applications on students’ mobile devices to conduct formative assessment in both in-class and out-of-class settings (Hwang & Chang, 2011). Such use has the potential of promoting students' active involvement in learning processes, encourage student voice, thus leading to better learning outcomes (Blau & Shamir-Inbal, 2018). Previous research has demonstrated that using RTMA in classrooms in both schools and higher education leads to increased student involvement in learning processes and higher intrinsic motivation (Camacho-Miñano, & del Campo, 2016; Kowalski et al., 2015). However, previous research has not provided conclusive data regarding the contribution of RTMA to student achievement (Martyn, 2007; Morgan, 2008). Moreover, to the best of our knowledge, previous studies have not explored the impact of the anonymity of feedback on active participation in lessons, learning motivation, self-esteem in general, and academic self-efficacy in particular, among students in different academic levels, including students in remedial learning tracks. Through RTMA, students become actively involved in the learning process and construct their knowledge (Camacho-Miñano, & del Campo, 2016; Kowalski et al., 2015). In addition, the anonymity of feedback allows students to participate without being exposed to criticism from their teacher or/and classmates, which can be detrimental to their self-efficacy (Blau & Caspi, 2010; Morales, 2011; Weiser, Blau, & Eshet-Alkalai, 2018). Ongoing formative assessment through RTMA is anonymous, since students answers to the assessment questions cannot be traced back to individual students, which may enhance active participation in lessons (Camacho-Miñano, & del Campo, 2016). Previous studies have shown that technology-supported assessments are effective for students with, as well as without, disabilities (for review see: Bryant & Seok, 2017). Thus, it is reasonable to assume that RTMA may function as assistive technology, which enhances the learning potential of students in remedial learning tracks (Schnorr, Freeman-Green, & Test, 2016) who are characterized by low levels of achievement, academic self-efficacy, learning motivation, and self-esteem. In order to explore the added value of ongoing mobile assessment, this field experiment compared the academic achievement, perceived learning, academic self-efficacy, learning motivation, and self-esteem of middle-school students at different academic levels: students from excellence, mainstream, and remedial learning tracks. All of the students learned in three technological conditions: (1) with RTMA and whole-class technology - Interactive Whiteboards, (2) with whole-class technology alone, and (3) without technology.